As a SL photographer, I’m always on the look out for new and interesting looks to create just that image that I have in my mind and so when I find costume stores, I’m always thrilled. Laqroki skins and hair has what looks like a developping sectin of costume clothes that they refer to as “Specialty Avatars”. 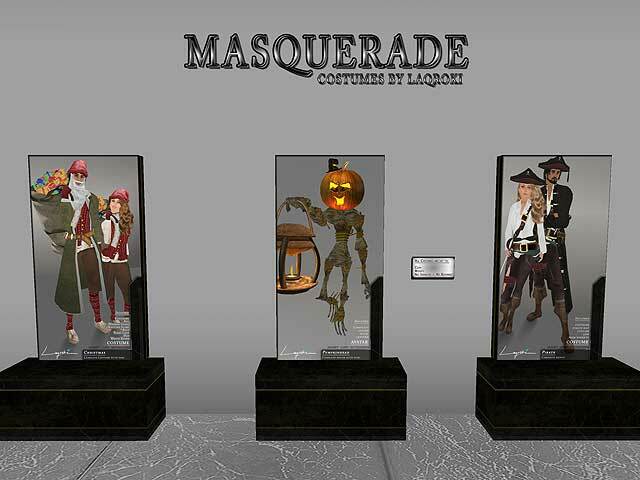 Pirate suits, Santa suits, Police outfits and even a really nicely done Pumpkin head AV. Haven’t tried any of them yet, but I look forward to having the right photo in mind to try them out.